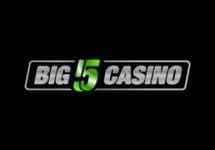 Play the new slot at Betsson! First details on the new Netent slot! 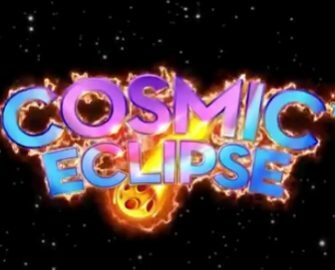 Exclusive to the Betsson Group, Cosmic Eclipse™ will be released on 12th December 2017. It is yet another joint creation between the two giants of the gaming industry. The last production goes back to the beginning of 2017 when they launched Wolf Cub™, a cute cartoon-style 20-pay lines slot with a gang of five forest animals, exciting new pay mechanics and a Free Spins feature. It has since been released globally as the exclusive agreement expired after six months. Cosmic Eclipse™ is a video slot with 5 reels, 3 rows and 10 pay lines, featuring Wild substitutions and Cosmic Symbol bonus feature. 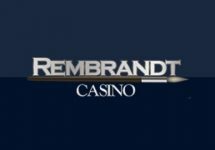 TRTP of this medium variance game has been set at 96.52% with a maximum win on a single spin of 400x stake. 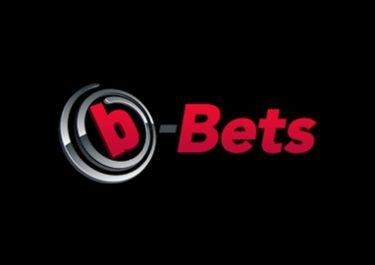 Bet sizes range from 0.10 – 100, which can be adjusted with the usual Netent controls. 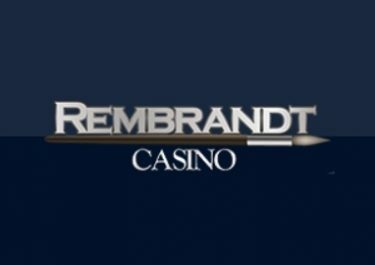 AutoPlay allows players to choose up to 1,000 spins to be run consecutively with a range of options as to when it should stop. Pay symbols are differently colored stone chippings and and a range of planets. The bonus symbol is an purple cosmic swirl that appears on reel 5 only. No Wilds or scatters on this slot. The only bonus feature on Cosmic Eclipse™ is triggered when a cosmic swirl lands anywhere on the reel five. The swirl activates on the right of the game window, randomly choosing one symbol present on the spin and collecting it in a symbol meter surrounding the swirl. A re-spin is activated, further adding more of chosen symbols if they land again on the re-spin. The sum of the selected symbols is randomly placed on the reels, once no further selected symbols hit the reels on a re-spin, with all other reel positions blanked out. 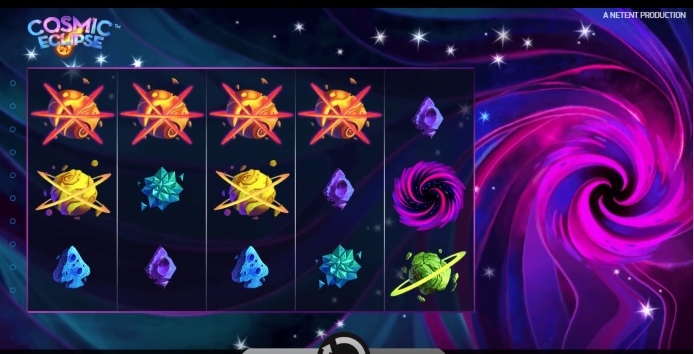 Collecting 15 symbols will correspond to a full screen of the selected symbol, representing the moment the slot can produce the maximum win for a single spin of 400x bet. We will publish a full review with graphics once the slot is released!